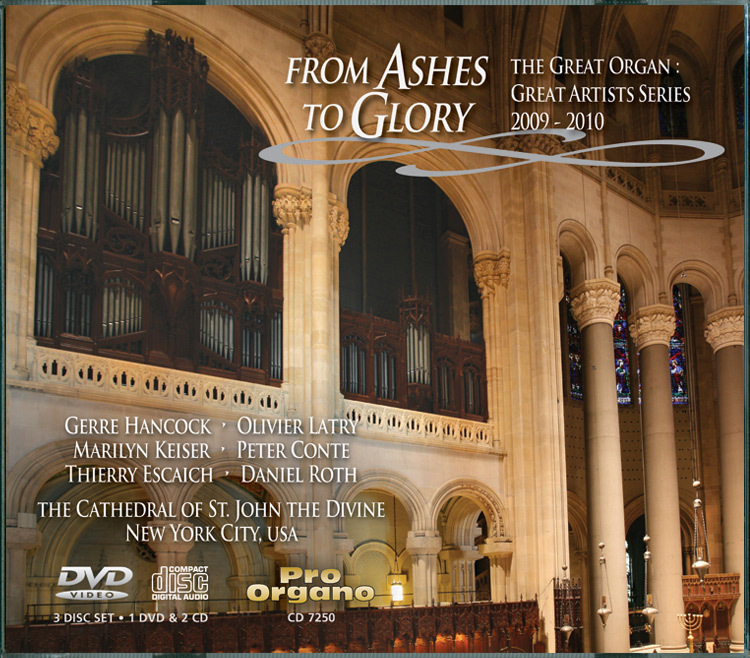 This release is a documentary item that covers the 6 celebrity organ recitals – known as the Great Organ : Great Artists Series 2009-2010, held with the generous support of the Florence Gould Foundation, in October, 2009 and April, 2010, at the Cathedral of St. John the Divine in New York City. 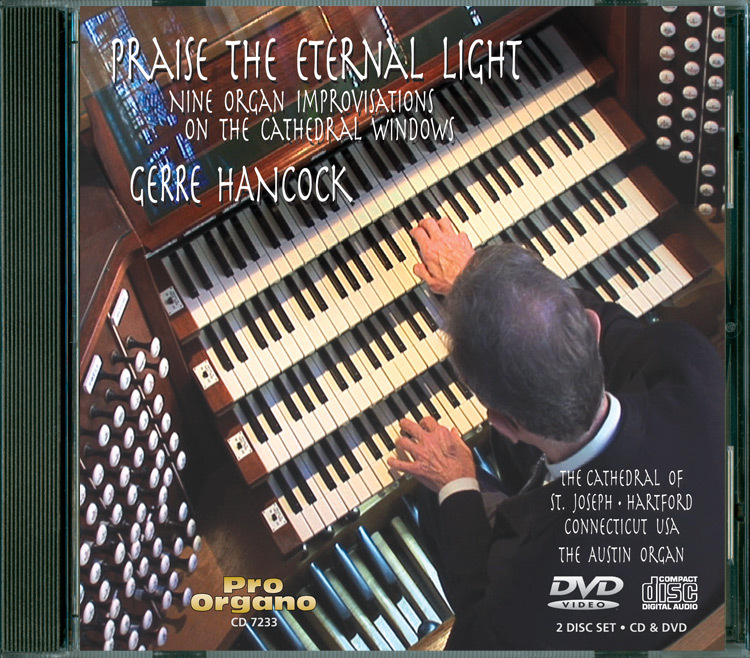 The series celebrates the return of the restored Great Organ in concert. In addition to a DVD containing highlights from all 6 concerts plus artist interviews (87 minutes), we have 2 CD audio discs, containing 138 minutes of audio concert highlights. Featured organists are among the most renown in the world: Gerre Hancock, Olivier Latry, Marilyn Keiser, Peter Conte, Thierry Escaich, and Daniel Roth. 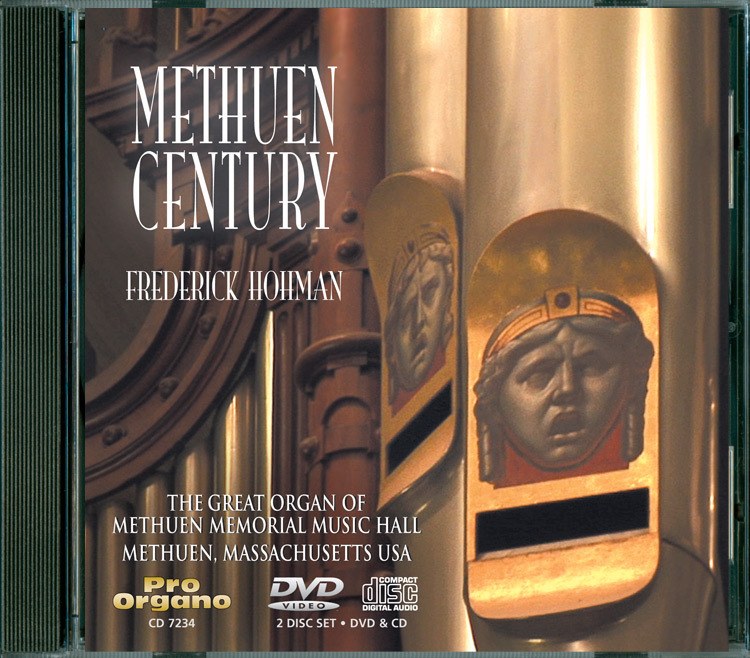 The product contains a 32-page booklet, with current organ specification, photos from the organ chambers, artist biographies and photos, and a thorough essay written by Michael Quimby, John L. Speller, Douglass Hunt and Eric Johnson, about the history of the Great Organ and its restoration following the tragic December, 2001 cathedral fire. 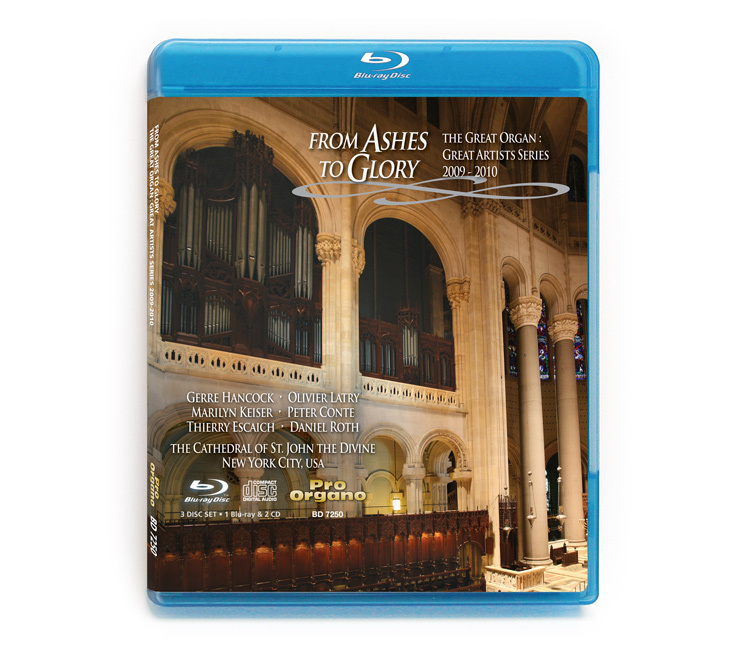 This volume is destined to become a collector’s item for all who appreciate fine organ music. Also available now in Blu-ray. 1 DVD plus 2 CDs packaged with 32 page booklet. This product (DVD version) is now available again as of 26 November 2018! DVD version product is in stock now and is ready to ship immediately. Also available now in Blu-ray. 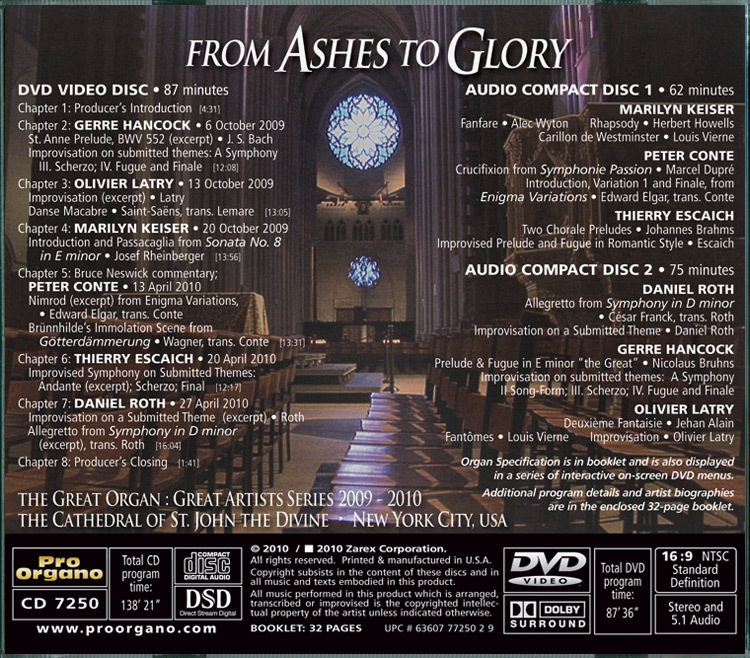 Gerre Hancock, Olivier Latry, Marilyn Keiser, Peter Conte, Thierry Escaich and Daniel Roth are featured in ”From Ashes to Glory” – Pro Organo item CD 7250.